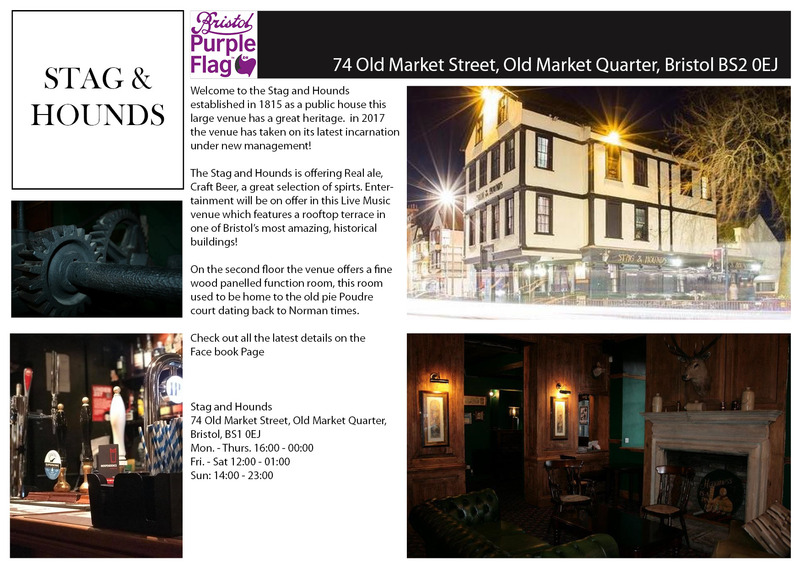 Welcome to the Stag and Hounds established in 1815 as a public house this large venue has a great heritage. in 2017 the venue has taken on its latest incarnation under new management! The Stag and Hounds is offering Real ale, Craft Beer, a great selection of spirts. Entertainment will be on offer in this Live Music venue which features a rooftop terrace in one of Bristol’s most amazing, historical buildings! On the second floor the venue offers a fine wood panelled function room, this room used to be home to the old pie Poudre court dating back to Norman times.